When it matters most, your pack will be there for you. 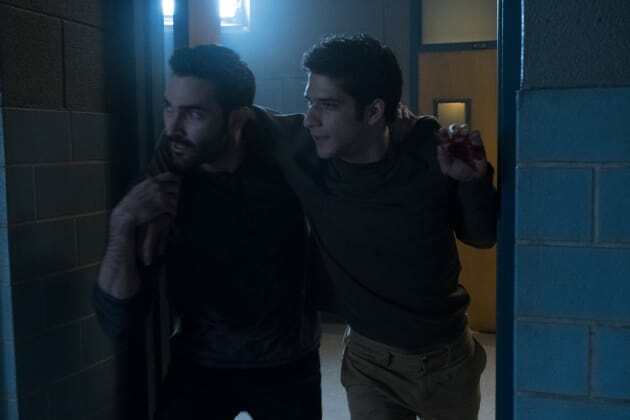 Derek returns to Beacon Hills to help Scott and the others stop Gerard and the anuke-ite. Teen Wolf Season 6 Episode 20: "The Wolves of War"
People that I thought would be with me forever are the ones that I lost. People that I thought I could never trust ended up saving my life, more than once. I'm going to tell you a story, maybe it will sound familiar. There was this kid, 16, alone, and running for his life. He couldn't see them, but he could hear them getting closer. They had guns, crossbows. They were hunting him. It started on the night of the full moon. Something came at him. Something bit him, and it changed his life. It changed everything.